& Czech crystals. These are larger 5/8" dia beads. This is a handy tool for the readers on your gift list. Mark your place in a novel or a pattern you want to find quickly. Every reader needs several of these! enhance this handy tool for readers. Sterling Silver enhance this handy tool for readers. For when only buttery soft leather or suede handles will do: you want these --" beauties. Hand Made one at a time by one family. You have to feel these! 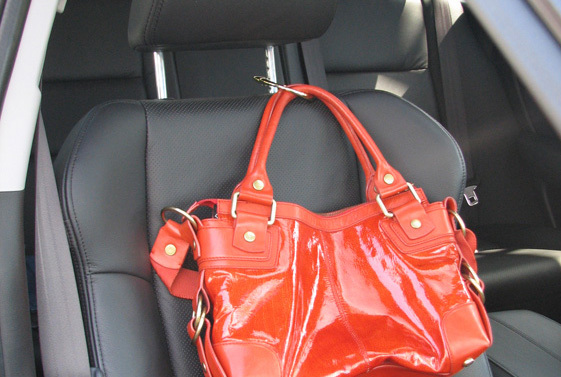 The colors are gorgeous so you can match your bag or contrast with it. 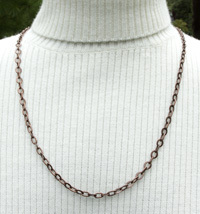 This length works for a comfy shoulder bag or larger tote bag. The silver finish hardware is beautifully done as well. Clean simple lines finish the overall look of your bag. Please email for attachment suggestions. Pick a color and pick a size for these Hand Painted animal Eyes. Use them for your knit and crochet critters. Sizes 12mm and up have a Cat eye pupil or a Round pupil to choose from. The tiniest eyes are Round only. Email me with your color preferences. 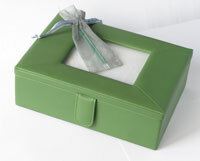 Smooth soft and sensual Florentine Napa leather makes this box a joy to have. It holds whatever you want: glasses and jewelry by your bedside, knitting accessories by your favorite chair, family momentos/photographs, etc. 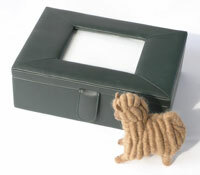 where you can put a photo, mini quilt or needlepoint even! Picture these on your special sweater! These darling buttons add whimsy and character to your garment. Hand Made in the USA. Flowers to go everywhere you go! 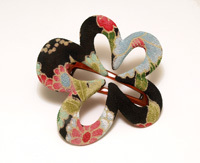 Rayon silk fabric hand applied to a simple faux tortoise plastic clip in Japan. These 3" dia. 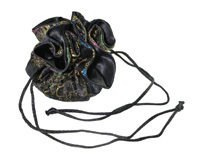 beauties are strong, durable and convenient to secure your wraps and shawls. These are the original and my favorites! 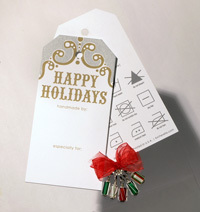 Fill-out and attach these unique two-sided gift tags to your handmade gifts. Perfect for that special finishing touch! These are a popular design from the graphic designer who does some of my ads. 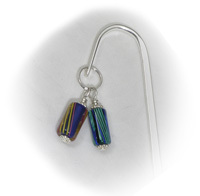 They are white with soft metalic silver and gold for your holiday gift giving. 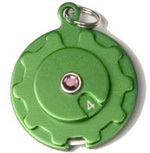 The back has detailed care symbols so your gift will be properly cared for. 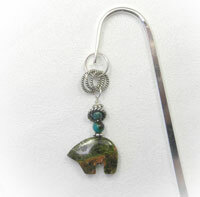 of stitch markers safely and look good doing it! They have a pillow bottom to protect your traveling treasures. Tuck it in your knitting bag and go! 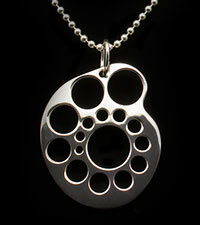 Necklaces for your Tools - 30"
Row Counter/Cutter, Scissors or what ever you would like. 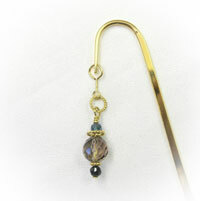 Lobster claw clasp for easy on and off. One handy place to store all of your different types of sewing needles. embroidery, needlepoint, chenille, and darning needles as well as hat and safety pins. the accent felt color on the inside may be different! Email me for current stock if you want to choose yourself. 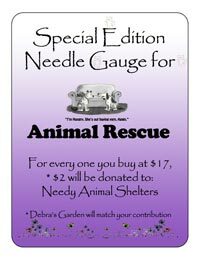 Crochet goes from 2mm - N.
This gauge is $1.00 more than the others to raise money for animal shelters and rescue organizations in need. 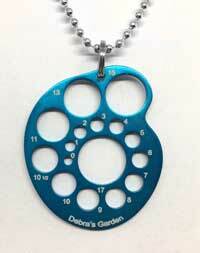 debra's garden will match the $1.00 for a $2.00 donation per sale of each pendant. This 1-1/2" x 1-1/4" light weight gauge is as beautiful as it is accurate. US goes from 0 - 17. We have a great sign to help promote this product, download and print here. This is the fine solid 14K gold pendant that you dream about wearing. Each is made by hand, one at a time. They are in stock and ready to ship. 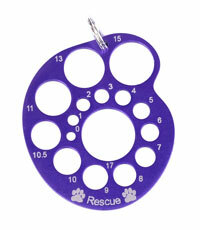 Approx size is 1 1/2" x 1 1/4" with a large bail that can accommodate even an Omega necklace. 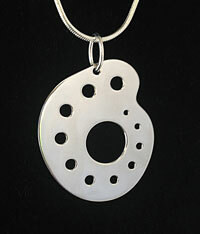 Special for my sock knitters: this is the fine solid Sterling Silver pendant that you have asked for. 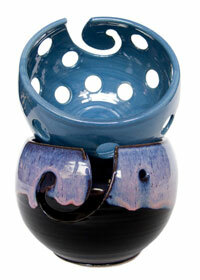 Approx size is 1 1/2" x 1 1/4" with a large oval bail that can accommodate even an Omega necklace. Back In Stock. 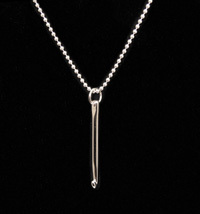 This is the fine solid sterling silver pendant that you dream about wearing. Each is made by hand, one at a time. can accommodate even an Omega necklace. just like your finest platinum set diamond rings are. to save that dropped stitch. 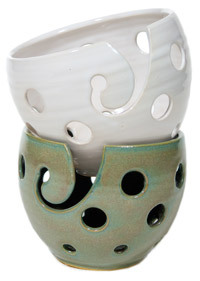 It is so lovely you will want to wear it for its beauty as well as its function. 2" long x 1/8" dia. 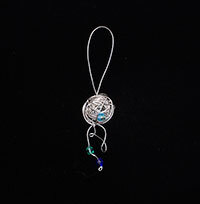 Hand made delicate looking pendants made out of non tarnish sterling wire. 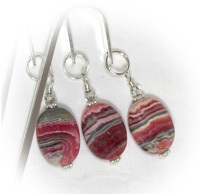 Each is unique and has Czech crystals attached to the "loose" yarn dangles. 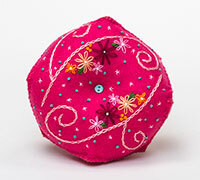 Large Colorful and Hand decorated with Embroidery. 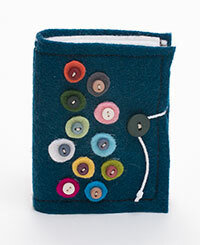 These Wool Felt pin cushions are everyday tools Pretty enough to leave out. Unique. 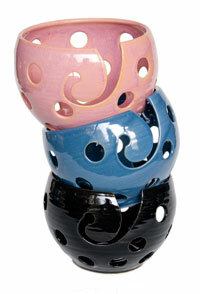 Simply choose a color for yourself or as a gift. 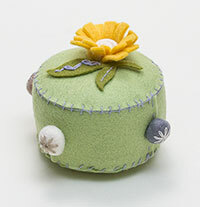 to create an interesting new take on the classic pincushion. The pods are 2" long, and naturally rest with the felted Merino wool cushion upright. The pods come filled with bold wool colors felted by the artist. Place this little treasure where you will be able to see it! Deliciously soft merino wool felted and hand sewn by Debra, with Love. incredible embroidered felted beads from a young new mom in Belgium. Colorful every day tools you will enjoy for years to come. Nicely weighted for balance, and ease of use. 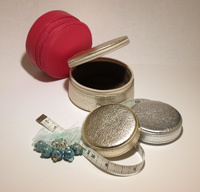 Coordinate with a Pin case to match and have a set! Pretty enough to leave out. of the gentile past when women carried handkerchiefs. with our own Soil Association certified Organic wool and my own home-grown lavender flowers. or even to slip under your pillow and help you relax and drift off to sleep. If you really struggle to sleep, you could always buy several and count them! the expressive ears are also filled and stitched on to give a 3D effect. cute little Bumble Bee buzzing form flower to flower. 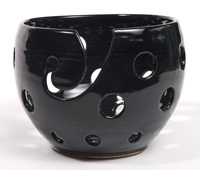 Can be also be used as an ornament." You have been asking and now they are here! These charming 3.5 inch flowered embroidery scissors are manufactured in Italy from the best steel, precision hardened and tempered, for a lifetime of use. Pretty tools of the highest quality are a pleasure to use. The all steel Ring-Lock scissors have a patented system that replaces the screw, guaranteeing smoother more accurate cutting and longer life expectancy for the blade! The finger rings are comfy too. It is a hard choice. These charming 3.5 inch NEW patterned embroidery scissors are manufactured in Italy from the best steel, precision hardened and tempered, for a lifetime of use. Pretty tools of the highest quality are a pleasure to use. It is an even harder choice now. and light weight. It can be used on the most ethereal lace shawls. talented artisan in Belgium. I went crazy and ordered 24 colors for you. Every color is a winner - neutrals, soft colors and fun brights. 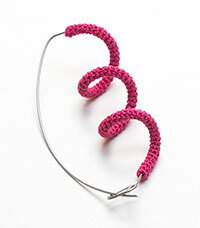 The wire disappears into the knitting and all you see is the squiggle! These come gift boxed for gift giving at no extra cost. with you anywhere you go. Never loose another. 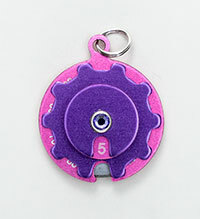 Strong magnetic tab closure or Zipper. From a top leather manufacturer that makes bags for the most exclusive names...... Taupe Ultrasuede Lining. 1 3/8" high x 2 3/8" dia. with you anywhere you go. Never loose another. Zip closure. Lined with taupe Ultrasuede fabric. Pretty, bright colors. light weight, durable...what more could you ask for? Very sophisticated. 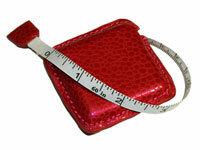 These are elegant fine leather tape measures. 60"/150cm. and match the patterns by working from both ends of the skein. 5 1/2" diameter x 3 1/2" high. Holes allow you to see your beautiful yarn on display, knit 2 socks at once, on a circular needle, and match the patterns by working from both ends of the skein.